Backup RV Camera: Should You Buy One? 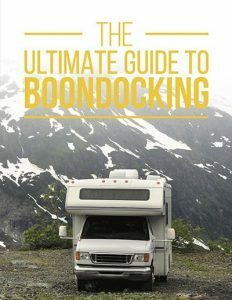 One of the most challenging aspects to driving an RV is backing up. Whether it’s a parking spot, driveway, or campsite, the task of backing a large RV requires a set of skills to meet the challenge. If you want a bit of help when it comes to backing up, you should consider purchasing an backup RV camera. A backup camera with help you become aware of the pedestrians, animals, or tight parking spaces that are behind you. No matter is you have a shiny new RV, or a well loved used one, this camera will come in handy both while backing up, and while driving down the road. RV backup cameras are available for an affordable price, and you can even acquire a used one fairly easily. 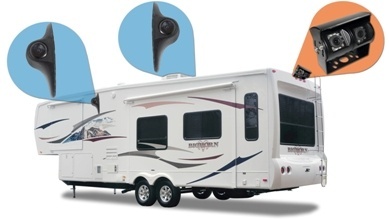 There are a lot of factors to consider when purchasing an RV backup camera. Some people aim for the most affordable option that is easy to install and fits in their RV. Others like the extra features such as a remote control, anti-theft features, and wireless connection. The size of the screen is often a deciding factor. While you might initially be captivated a large screen, be sure to look for a screen with a high resolution. You don’t want to see dots or pauses on the screen as it displays the images. 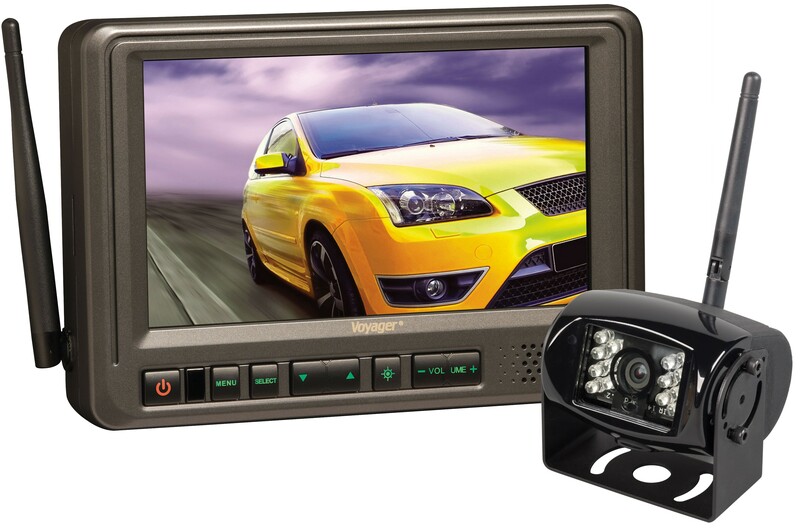 In the end the RV backup camera you choose all comes down to desired features and you budget. There are two types of RV backup cameras — wired and wireless. Both are powered by the 12 volt DC power of your RV. This choice is your first important step when buying a camera. This type of camera has a long cable that is connects the camera in the back of the RV to the video monitor on the dashboard. There are both pros and cons to this type of set-up. Con: Needs to be professionally installed. The wires must be run under the RV and firmly secured in place. An installation can tack an extra $80-150 dollar to the price of the camera. As the name implies, there are no wires involved with this type of set-up. A wireless transmitter and receiver send the images from the camera in the back to the monitor in the front. They are completely different from the wired cameras and they only transmit signals from one another. While the camera sends video images to the monitor, the display captures those images and alters them as you wish (deepening on the type and price of the system). Con: You have to buy it as a kit. Con: You run the risk of picking up interference from nearby sources. 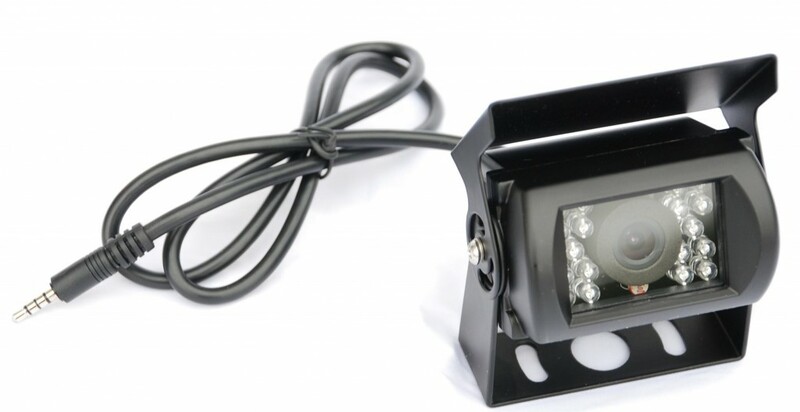 The are a number of features available on RV backup cameras. Here are some of the features to consider when purchasing an RV camera. Let’s be honest, you going to want a good video quality when it comes to choosing your camera. Better quality means less fuzzy pictures, and no more black and white. 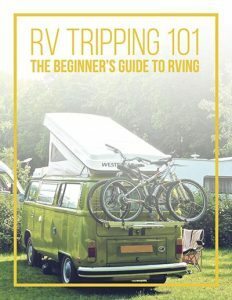 You want to see everything that is going on behind your RV. Not only do you want backup assistance, but you also want to see if you have a flat tire, you are blowing smoke, or if an animal interferes with your backing up. The screen, cables and wireless transmitters all play an important role when determining video quality. You want a camera that is high quality and can capture images in a variety of ways. You want to be able to choose from black and white, color, and infrared/night vision. Some cameras even offer face tracking, notifications, and smart parking guidelines. Most RV backup cameras are weatherproof. This is a critical feature to the reliability of the camera. A camera should withstand all types of weather from the hot summer heat to driving rain, and even snow. A microphone is an extra feature for communicating with either the person helping you backup or anything else that might be outside your RV. It works both ways so you can expect a lot from this innovation. Just think about the lack of yelling and the clear communication you will have with people passing by. No more waiting, and it sure helps when a dog looks in the wrong direction. If you want to give your camera something extra then you have a lot of things to choose from. Maybe you want a remote control or glare protectors? Or maybe an interesting mounting hardware, or a comprehensive installation kits? No matter the choice, the there are a variety of extra accessories. Even if you installed your own RV backup camera, it can be helpful to have customer service at your disposal. Be sure to buy a camera that offers a 24 hour customer service line and a warranty. 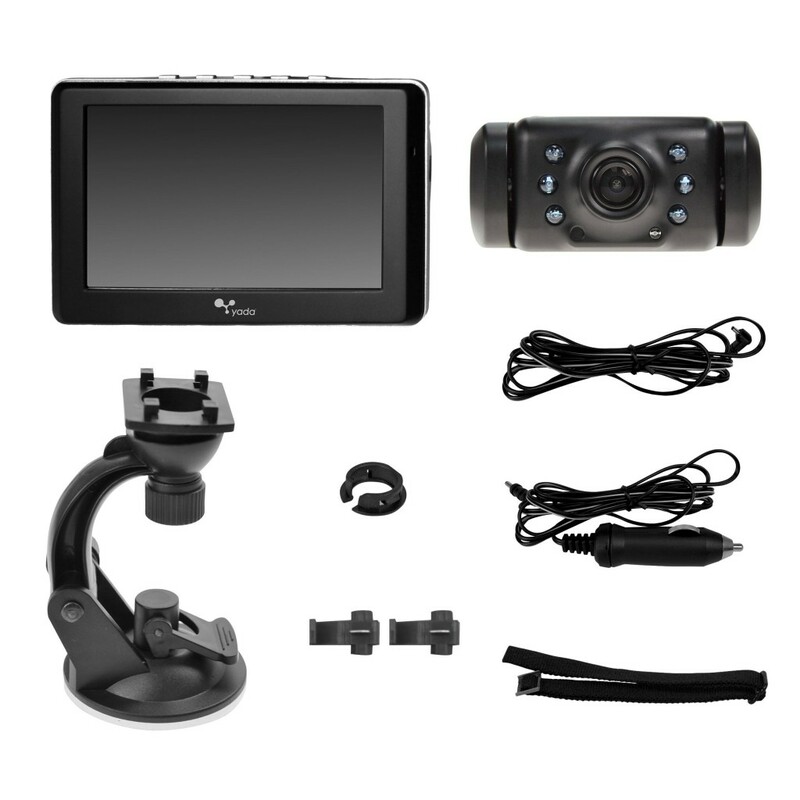 A backup RV Camera is a great way to improve your RV driving experience You will see clearly at night or when it rains. Parking problems will be a thing of the past, and you will have an extra eye out for passing people and pets. A RV camera can be amazing asset and a great addition to any RV. What do you think? Will you buy an RV Camera?